Shantel Wislawski was born in 1984 in Colorado, USA as Shantel Linn Wislawski. She is an actress, known for Playing It Cool (2014), Superfast! (2015) and 2 Broke Girls (2011). Chauntae Pink is an actress, known for I Do... Until I Don't (2017), American Koko (2017) and School of Rock (2016). Susan May Pratt was born on February 8, 1974 in Lansing, Michigan, USA. She is an actress, known for 10 Things I Hate About You (1999), Drive Me Crazy (1999) and Open Water 2: Adrift (2006). She has been married to Kenneth Mitchell since May 7, 2006. They have two children. She is a former fashion model who briefly hosted the short-lived Entertainment Tonight (1981) spin-off ET on MTV (2000). Based on that breakthrough she was cast as the lead femme fatale in The Big Bounce (2004), which was a remake of a previous movie adaptation of the same Elmore Leonard novel. Lyndon Smith was born as Jennifer Lyndon Smith. 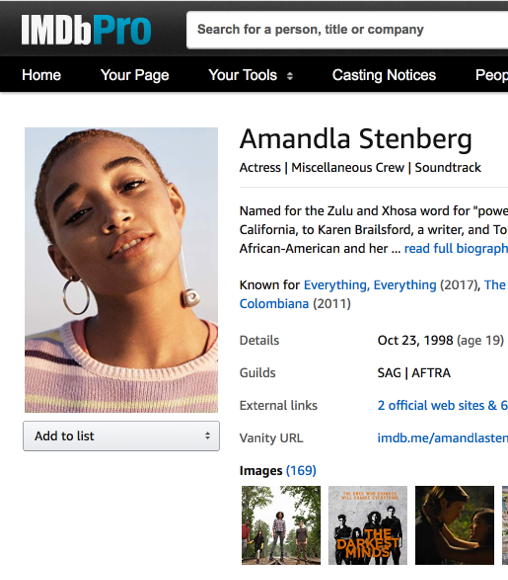 She is an actress, known for Parenthood (2010), Step Sisters (2018) and White Famous (2017). She has been married to Steve Talley since July 4, 2015. Chantelle Barry was born on March 18, 1980 in Perth, Australia. She is an actress, known for Spider-Man (2018), NCIS (2003) and Ninjak vs the Valiant Universe (2018). She has been married to Scott Whyte since September 2018.